Front drops half down for easier access to contents. top half locks into place when closed. Sheet steel construction with Dark Blue epoxy powder coated finish. 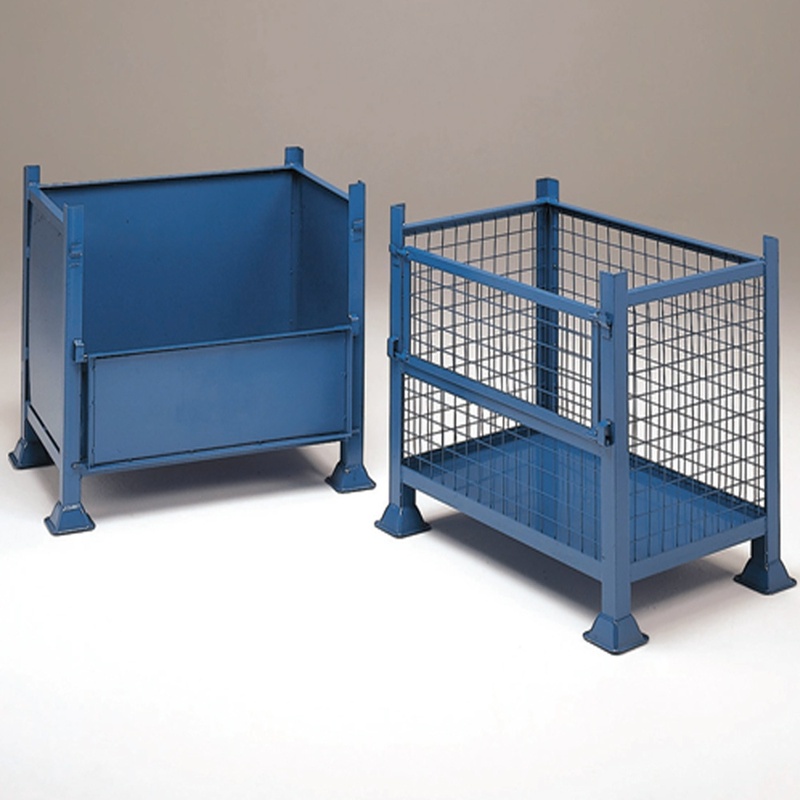 Ideal for bulk storage saving valuable floor space. Can be staked up to 3-4 high depending on the weight of contents and positioning. All fitted with a solid deck. Ground clearance of 110mm to allow pallet trucks underneath for transportation.